Rem Koolhaas is perhaps the most feted and influential figure in architecture today, as well as one of the most original contemporary theorists of its changing relations to urban and socio-economic forms. Co-founder in 1975 of the Office for Metropolitan Architecture (OMA), he is also Professor in Practice of Architecture and Urban Design at Harvard University. Starting in the late 1970s OMA established its international reputation through a series of competition entries, after which it was able to realize a number of built projects, including the Kunsthal, Rotterdam (1992). In 1994 it completed its most ambitious project up to that date: the master plan for Euralille in France, a 70-hectare civic and business centre comprising the central node for Europe’s high-speed railway network, described by Koolhaas himself as the basis for a new form of ‘virtual metropolis spread in an irregular manner’ which connects together some 70 million people. Since the turn of the millennium OMA’s practice has dramatically expanded, both in terms of its number of commissions and in its geographical scope, opening further offices in New York and Beijing. Among its many celebrated projects have been the IIT Campus Centre in Chicago (2003), the Seattle Public Library (2004), the Casa da Musica in Porto (2005), and stores for the fashion designer Prada in New York and Los Angeles. Today, the practice is hectically active in almost all parts of the globe, with current projects including controversial (and heavily criticized) work in China – most famously, the iconic CCTV Building in Beijing – and a host of buildings and master plans in Dubai, Saudi Arabia, Kuwait, and elsewhere in the Middle East. Koolhaas is, however, at least as well known for his writings as for his buildings. Originally schooled in the 1960s as a screenwriter and journalist, he has become arguably the most important and widely read architectural writer–practitioner since Le Corbusier. Koolhaas’s breakthrough text was the 1978 Delirious New York. Subtitled A Retroactive Manifesto for Manhattan, the book, written while Koolhaas was a visiting scholar at the Institute for Architecture and Urban Studies, proposed a provocative rereading of modern architecture and urbanism, which set a celebratory account of the surrealistic ‘culture of congestion’ to be found in New World ‘Manhattanism’ against the puritan uptightness and classicism of Le Corbusier’s European Modernism. It was followed in 1995 by the 1,000plus-page S,M,L,XL, co-designed with Bruce Mau, which both summarized the work of OMA up to that point and collected together a number of important shorter texts. These included pivotal pieces on the ‘Typical Plan’ (1993), ‘Bigness’ (1994) and ‘The Generic City’ (1994), all of which pursued a strikingly novel, and often slyly ironic, conception of architecture as that form of cultural production compelled, within twentieth-century modernity, to relate ‘to the forces of the Groszstadt [metropolis] like a surfer to the waves’. As much concerned with the ‘dislocations of modern capital’ as conventional architectural issues of form and space, Koolhaas’s writings of the 1990s counterposed the metropolis as an endlessly productive ‘system of fragments’ to the ‘meanness of architecture’ as discrete aesthetic object. At the same time, such texts served to distance Koolhaas’s intellectual concerns from the often more abstruse interest in philosophical work, particularly Derrida, dominant among many of his architect-theorist contemporaries. And while the likes of Fredric Jameson effectively tried to claim him in the 1980s for some emergent new postmodernist aesthetic, Koolhaas himself always resisted such identifications. Indeed he has consistently, and vigorously, promoted his allegiance precisely to the modern, if not to architectural modernism as a movement – as it was ‘completely stripped from its social programme’ – and to the need ‘to align [with] and find an articulation’ for what he affirms as the ‘forces of modernization’. In the texts bearing his name since the late 1990s, Koolhaas has tended to take on more of an editorial or curatorial role. Although collections like Content (2004), printed in garish magazine form by the German art publisher Taschen, also include key sole-authored texts – most notably the essay ‘Junkspace’ – they are most distinctive for the breadth of intellectual interest exhibited in the writers and texts that they bring together, which escape all ‘disciplinary categories’, as Jameson has put it, and extend from sociologists and geographers to post-conceptual artists and philosophers of science. This transdisciplinary scope is apparent, too, in the series of studies that Koolhaas oversaw at Harvard during the late 1990s and early 2000s, under the general title of ‘The Project on the City’, which sought ‘to document the combined effects of the market economy and globalization on the architectural discipline’. These included volumes on the architecture and sociology of shopping, the unprecedented urbanization of the Pearl River Delta in China, and, most notoriously, the African metropolis of Lagos, in the organized chaos of which Koolhaas provocatively found ‘the future of the modern city’: ‘a developed, extreme, paradigmatic case-study of a city at the forefront of globalizing modernity’. 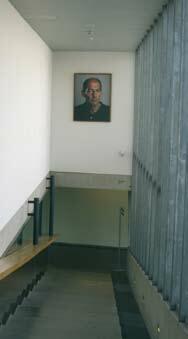 Such works continue to promote Koolhaas’s often violently expressed opposition towards what he has called architecture’s ‘fundamental moralism’ about the contemporary, as well as his principled scepticism towards the possibility of any directly critical architectural practice. If this has served to associate him, latterly, with the politically complacent, and ultimately formalist, arguments of so-called ‘post-critical’ thinkers in the North American architectural academy, in fact at the heart of Koolhaas’s work has always been a profound concern with the relationship between architectural and social form. It is in this sense that he has written of a desire for architecture to ‘regain its instrumentality as a vehicle of modernization’, and which, in part, no doubt explains his interest for a number of contemporary thinkers within the Marxist tradition such as Jameson and Antonio Negri, whose short 2007 ‘presentation’ on Koolhaas’s conception of the contemporary condition of the metropolis we publish in English for the first time below. Let’s begin with the question of why you decided to start AMO. What was the thinking behind the formation of a separate ‘research unit’ within the main architectural practice? What has it allowed you to do that OMA didn’t? The driving force behind both OMA and AMO is curiosity. There has always been a journalistic dimension that underpins al of my work. Architecture has severe limitations, and, first of all, AMO simply provided us with a new way of looking at the world. In this way we try to create context and to extract new insights from it. The second thing is that we realized that there has always been something very problematic about the architectural profession in terms of the degree to which you are able to define your own agenda. Fundamentally, as a professional architect, you are submitted constantly to the wishes of others. Through AMO we have been more able simply to announce interests on our own and pursue them independently. The work that AMO is doing with the Hermitage in St Petersburg, for instance. We pursued a competition for an architectural extension [to the Museum] that we didn’t win, following which the whole extension project was thrown into crisis. So, we then more or less created a project for ourselves. We found out that there were links between the Guggenheim and the Hermitage, and used that context in order to propose a different type of project on the latter for which we completely created our own funding from Dutch and Russian cultural sources. In effect, we proposed the scope for a curatorial master plan, for the Hermitage, and then found the funding. So that was 100 per cent the result of our own initiative – both in the brief and in the themes. It’s the most radical pursuing of our own agenda yet, and, in that sense, it’s quite remarkable that it’s actually worked. Partly, I guess, it’s a different kind of business model, but it’s mostly a different medium for our thinking. How would you define the relationship of this different medium, or mode of address, to the discipline of architecture itself? Is the point that it still functions as a form of specifically architectural thinking or knowledge, but one that is intended to be operative within a much wider social-cultural or transdisciplinary field? In the beginning I was very sceptical about the ways in which the architectural profession is conventionally constituted, in the sense that it is based on very old forms of knowledge. Some of the ‘laws’ that we work with are nearly 3,000 years old – that is, discussions of proportion, composition, coherence, and so on. A lot of this knowledge didn’t seem particularly relevant any more, in so far as it wasn’t able to capture certain new forces or to respond to certain conditions. Just before we formally started AMO, however, this problem began to tilt in a different direction, as a result of the fact that, as the economy started to go crazy, there was a process going on by virtue of which almost the entire profession seemed to undergo a flattening and loss of memory, identity, and so on. Could one see this as a question, then, of the degree to which architecture as a specific body of knowledge apparently pre-dates the emergence of capitalist modernity, in some sense, whereas, arguably, all of the other design disciplines are more or less direct products of capitalist society and industrialization? Not only this, it has a traditional relationship with the public and a traditional relationship to the idea of ‘doing good’. I have often been intensely sceptical about such moral pretensions. However, there is a certain tipping point at which what has previously seemed backward may come to seem forward-looking or progressive in other ways, and so we have recently become very interested in this. At the same time, we were also struck by the fact that so many other territories were increasingly using metaphors drawn from architecture, using our vocabulary to explain other domains. These are words from architecture that are now used in a mainly ‘conceptual’ or political and strategic sense, or even as part of military jargon: architect, blueprint, construct, platform, framework, foundation, model, scaffolding, and so on. So, it’s a matter of deploying the kinds of knowledge architecture provides us with in interrogating the more general socio-political uses of these terms? Yes, in that sense AMO was framed around a simple point: since other disciplines use our words, they might as well use our thinking. In this context, the problematic nature of the language of architecture as a discipline that, in the 1980s, had often seemed to me only a hindrance now meant that it could actually provide a new space for a form of thinking which could then be applied productively in other domains. Interestingly, one thing we’ve also found is that when you work as an architect and you work in an age that’s dominated by specialisms and by the empirically provable, you end up marginalized, because all the arguments you bring to the table, which may well be valid in other disciplines, invariably seem to others highly intuitive and unprovable. Therefore the space you occupy as an architect tends to get smaller and smaller and smaller. But, to some extent, the sheer fact that architecture is also not a specialism – and that, in fact, it cannot be one – means that one can maintain a certain generalist take on things that often proves crucial in actually getting approval for buildings from higher political levels, which are themselves populated by people who are, by definition, incredibly dependent on specialists, but who, nevertheless, can never simply listen to one specialism in order to make their decisions. Because architecture has remained a generalist discipline, it’s important to cultivate its autonomy in this respect. However, while I think that many thinkers in the [Aldo] Rossi period were calling, with the use of specifically architectural terminologies, for a literal restoration of architecture, we embellish the same terms, to explore their broader metaphorical possibilities. We want really to destroy the idea of architecture as a kind of hermetic form. From a different perspective, is AMO then also a way, for you, of ‘escaping’ architecture, in its limited sense? In the case of the Hermitage project, for example, you seem to have deliberately resisted the idea of building, to have explicitly advised the museum against any grand architectural gesture. In this particular case that’s true, for very good reasons. If you step back from your own vested interests in always persuading people to build – because that’s your business – objectively an expensive building was the last thing they needed. There are some cases where adding more actually becomes counterproductive. Derrida and Deleuze would be among the most obvious. Now, in a way, what you’ve described as AMO’s focus on the uses of architectural language in the broader culture, and on working through that, might well be associated with some kind of ‘deconstructive’ project. Yet you’ve always seemed to be considerably more wary than many of your contemporaries about these kinds of identifications. The forms of architectural or urbanist thought and writing that you’re associated with have generally appeared to be rather different in character. That’s true. Nevertheless, I benefited enormously from knowing the work of these thinkers. And, actually, in some cases I knew them personally. Delirious New York, for example, is very directly connected to the writings of Roland Barthes, and I doubt I would have written it had I not met him or read Mythologies. While I was at Cornell, Michel Foucault was there as well, teaching. At some point I also met Deleuze. I don’t think these influences or relationships necessarily need to be flagged up. But it’s not an indifference to these thinkers. As a student, I was soaked in the language of semiotics – later on, Deleuze effectively ended that. This is hardly ever mentioned any more in architectural discourse, but, to me, it is actually crucial, and, as an absent force, increasingly important. I suppose part of what we’re getting at here concerns the model of intellectual work itself. AMO is more or less explicitly organized around a certain idea of doing ‘research’. But this often appears to emphasize more empirical or sociological, rather than strictly theoretical or philosophical, modes of intellectual practice: the collection and analysis of data, statistics, and so on. In the past, you’ve used terms like ‘documentation’ and ‘description’ – even ‘fieldwork’ – as a way of defining the precise character of this activity. Well, increasingly I’m rather modest about the word ‘research’. The obsession with facts and quantities was generated by the fact that, in the mid-1990s, when I began to teach at Harvard and to do this kind of work with the students there [in the Project on the City and in the studies of shopping and the Pearl River Delta], the misfit between what was then architectural discourse and the real situation was so colossal it seemed that only, as it were, by an overdose of empirical givens could we hope to begin to dislodge the existing discourse. So, this was about both a reorienting of theory towards social reality, and a kind of internal architectural reaction to existing forms of intellectual discourse in the field? You have often vigorously opposed a certain moralism in architectural discourse – the idea that ‘one shouldn’t look at the bad’. Is it also a question of insisting, then, upon the importance of something like what certain social scientists and philosophers used to call a fact–value distinction? Partly this is what I meant before when I talked about there being a journalistic dimension to the whole thing, which is no doubt based on my previous experience as a journalist – somebody who is supposed to be writing about facts. But we also discovered that the more we adopted this persona – this implacable concern with the factual and the quantitative – the more authority our words appeared to carry. And then, of course, it also became a form of humour. There is, even among architects who don’t do this sort of stuff, a kind of training in arguing against the odds. When you arrive on the scene and you want to do a building, nine out of ten times the vast majority of people don’t want a building there at all, and when they do they certainly don’t want the building that you want to do. In this sense, you’re faced with a general prejudice against building and against the modern. So, in architecture there is a long tradition of using facts to your advantage. Particularly in modernism. All those books of statistics in the 1920s and 1930s, on through to CIAM, which always put things in very serious quasi-apocalyptic terms – ‘can our cities survive?’ We are very much a last generation informed by that kind of discourse, aware of those positions. In these terms, we would consider maybe 70 per cent of our output highly ironic. Is that true of the actual architectural projects, as well as the textual and visual work? And the more our exposure increases, the more the irony is easier to miss. Are there any simple examples you can give of this? Well, the ‘Generic City’ [published in S,M,L,XL], for example, is almost totally a parody of a certain kind of architectural writing. I have a personal take on this. I was there, as a fly on the wall, when Peter Eisenman was applying Tafuri’s ideas, and there was a certain merger of positions [in US architectural discourse] in a way that really insisted on architecture’s autonomy, and then insisted on its critical dimension. Most of what we do at OMA should be understood both as absolutely undermining this idea of autonomy, and as asserting that architecture, by its very nature, cannot be critical. You can be critical as an architect, but architecture itself is never critical in that sense. I remember there was a series of conferences – the ANY conferences – where this relationship with a certain philosophy was consummated. Derrida was very often also present. And at the last one I was almost literally thrown out because I combined in a single lecture our work on Prada and Lagos. It was intended as a total denial of autonomy. So, in a way, we are totally fascinated by many of the same subjects, but our interpretations of these subjects are radically opposed. The connection is in the interests; the divergence is in the conclusions. But the connection in interests is, of course, very important. Kracauer, Benjamin, and so on. And there would certainly seem to be an obvious connection here, not only in Delirious New York and in the ‘Generic City’ essay, but in terms of the actual name of the practice you decided upon in the 1970s: the Office for Metropolitan Architecture. What’s © Office for Metropolitan Arc hitecture (OMA)the significance of the term for you? Is the key point its distinction to the form of the traditional city? That’s a beginning. It declares that all the previous models for architecture’s relation to the city are invalid. And, of course, it also announces that this is an existence on the other side of ‘nature’, and announces the accepting, and embracing, of that condition. At the time we started the practice it had a tremendous polemical value, because it was the antithesis of everything everybody wanted or spoke about. It’s significant though that, as opposed to OMA, the ‘M’ in AMO is no longer defined. One can think of the word and concept of the metropolis as a sort of rocket-launcher. But we shed it because it became an inconvenient obligation constantly to have to argue for it. Perhaps we could move on to discuss a specific AMO project, The Image of Europe, which culminated in a series of exhibitions. What was the initial impetus for this? Brussels had been declared the official capital of Europe, and there was a working group set up jointly by Guy Verhofstadt, the Belgian prime minister, and by Romano Prodi, the president of the European Commission, to study the consequences of that. So, a number of intellectuals were invited – Umberto Eco was one of them – to think about this. Simply because we were able to illustrate our arguments, and to make a narrative of the arguments, these slowly but surely became the content of that commission. Because, in the end, it was we who did the report. That is, the report ended up being their text added to our illustrations, rather than vice versa. So it was basically an intellectual project on behalf of the European Union? Although I don’t think the demand quite foresaw the result! One thing I like about the Europe project is that one never actually knows whether we’re working for Europe or if, in the end, Europe is working for us. Europe is a convenient subject matter for us to demonstrate the existence of a whole uncharted domain that architecture can reclaim. Does this also entail an engagement with the idea of Europe itself then? Étienne Balibar, for example, has described the EU as one of the ‘most fascinating and mysterious of philosophical objects’ today. Actually it’s interesting – the Image of Europe project started as a sort of philosophical question. Brussels, after forty years of being the temporary residence of European institutions, became officially the capital of the European Union. So we started with the question of what are the symbolic implications of this for the city, as the capital not of a country but of a transpolitical system. If it’s a capital, how is it different from Berlin, © Office for Metropolitan Arc hitecture (OMA)Paris, London, and so on? And we basically stretched this question into one concerning the whole domain of Europe’s representation in general – to al of its visual representations, not just in the city of Brussels, but of the EU itself. Through this, we then became, of course, very much aware of how inadequate the communication of the European project had become. Or, of how it had only been possible to pursue this project by some form of stealth, which perhaps benefited from the fact that its full scope had never been articulated. But, as a result, the current moment was actually characterized by the national governments using Europe as a scapegoat. So, we were simply interested in developing a positive rhetoric for it. Everybody knows the Mall in Washington, or the Forbidden City. Europe’s symbolic heart in Brussels is actually a roundabout. This would be another example of the irony that is often missed in our work: so, for the Image of Europe exhibition in Brussels, we had a circus tent in the colours of all the European flags as an exhibition space situated in the symbolic heart of Brussels’s ‘European Quarter’, which is the Schuman roundabout [named after one of the founding fathers of the EU]. I think the barcode complies with everything we’ve said, in that it’s both serious and ironic. I remember that when it first came out, as part of the report, it was one of many images we had designed. But then I got a call from Building Design on a Friday afternoon saying ‘So, you’ve designed a new flag.’ And then BD sold the interview to the Independent, and, on the Saturday, on the front page, there was the flag, saying something like: ‘Prodi has seen the flag, likes the flag, approval pending – goodbye stars, hello stripes…’ By Monday, the edition of the Sun had also run an article on it: ‘Call this a flag? It’s a bloody deckchair!’ And then, on the Tuesday, the Guardian came out and they launched a competition under the title ‘Can you do better?’ So the irony created serious ripples. In 2006 we got to do another round of the Image of Europe exhibitions, and Austria actually adopted the flag as its official logo of the Austrian presidency [of the EU Council]. But the ‘serious’ side of all this, presumably, would be that this engagement with the political idea of Europe is an example of you not simply positioning yourself, so to speak, at the front end of existing social forces – surfing their waves, as you’ve famously put it elsewhere – but taking a specific position on a certain political issue? You’ve just mentioned a need you felt to create a positive image for Europe. We discovered, too, a lot of parallels between what we mentioned earlier in terms of the kinds of prejudices you have to overcome as a modern architect and the prejudices faced by the political experiment of Europe. So there is a lot of sympathy! Also, for us, only once this continent is defined at a European scale – and here, of course, all the internal differences have to be fought out – does a certain modernization also become possible. In terms of immigration, of people coming to Europe, it will, for example, inevitably be easier for them to become European than to become Irish or German or whatever. Is, then, The Image of Europe a kind of committed work? I mean, is it informed or motivated by a specific political commitment to some quasi-utopian idea of Europe? Well … I would leave out the ‘quasi’ … And the ‘utopian’! [laughs] The ‘idea’, yes… working for a political idea, as a propagandist for the political idea. So, thinking of your earlier remarks regarding the impossibility of a critical architecture, in this sense are you actually happier with the idea of working as a propagandist than as a critic? Am I sceptical about being critical but happy about being a propagandist? [laughs] That’s an interesting question. I think that I have overcome my natural irony, in certain cases, to be happy with being a propagandist, yes. You could also say that being a propagandist is an ironic way of being a critical theoretician, which is, I guess, in the end, closest to the truth. Yes. Have you seen this image [left, a television screengrab of George W. Bush with the EU barcode logo visible in the foreground]? This was, for us, the real high point of the project, as a confirmation that we had entered the political sphere. It’s real. It’s not PhotoShop. This is Bush unwittingly endorsing our barcode, saying it should be bigger. You were talking earlier about architects having to be generalists in a way that enables them to communicate with people at fairly high political levels in governmental institutions. Does this work of OMA/AMO thus reflect, in a contemporary context, what Tafuri says about the ways in which architecture’s relationship with planning, specifically urban planning – and, indeed, with the very idea of the plan – also confronts it, necessarily, with planning at the political and economic levels? And, if so, is part of what you’re trying to do a way of seeking to overcome the problems associated with the usual debates around that, and, instead, to position yourselves at the leading edge of capital, or at least at the leading edge of actual political decision-making, as some means of intervention? By not adopting the reflexive position of a ‘critical architecture’, we have certainly never been afraid of engaging directly with fundamentally political operations. For example, you could see the master plan that we did in Lille [in France], which was part of the Eurotunnel project, and which aggressively modernized the existing city, as also being a very political project in this sense, as well as a very European project. Perhaps you could say something more about this idea of modernization? I’ve read you suggesting, in the past, that Europe’s dominant cultural representations have been essentially ‘anti-modern’ in character. And, indeed, one of the things you seem to be most specifically interested in as regards Europe is an idea of it becoming, in effect, some potential new space of modernity or motor of modernization, as you call it. The interesting thing about Europe, actually, is that it has to confront modernity with the full weight of history on its back. So, Europe can’t be a radical act of modernity in the sense of starting from scratch, of a tabula rasa, of forgetting everything. The challenge of modernity is greatest in the case of Europe, in a way, simply because it carries with it so much history. This is another form of opposition… At some point, as we continued to be involved in Europe, we kept hearing the word acquis, which is the French word for ‘that which is acquired’. This is the sum of all the European legislation: the Acquis Communitaire. We kept asking to see it, and it didn’t exist as a single thing. So then we made it, and, basically, it’s a book which is seven metres long, with 90,000 pages. It only exists in segments as documents on the Internet, where somebody at Agriculture puts up that or that or that. Nobody had ever printed the whole thing and put it together as one book. And this [legislation] is what nations aspiring to become part of Europe have to accept. If you do it, you’re European. And, so, this leads to an incredible concept of syndicated legislation. In order to trade or engage with us you have to adopt sections of this. So, parts of South America, Africa and, increasingly, the rest of the world, are adopting sections of it. That for us, now, is a really interesting form of modernization – by establishing common laws, or using law as a platform for encounter. This is a dimension of Europe that became fascinating for us, and is also a typically European way of doing it – a soft power, exercised not directly but by establishing common entities. So is this political idea of Europe, for which you want to provide a ‘positive rhetoric’, one that has to be partly defined by the ways in which it offers a counterforce to a certain specifically American politics and image of modernity? Well, it was for a certain phase of the project because of the current events at the time [the war in Iraq]. But I think, over time, our concept of Europe has become much more of a stand-alone idea that doesn’t need to define itself by contrast to the USA. All this perhaps raises the obvious question of globalization, and the impact of the fact that the geographical spheres of activity of both OMA and AMO are evidently becoming increasingly internationalized. Much of your work now is in the Middle East, and you’ve talked about a general move eastwards on the part of the practice. At its peak, about 30 per cent of our work was in the Middle East. One of the things we’ve come to realize is that we often think of Europe and Asia as separate continents but actually they’re a single landmass. Once you start shifting eastwards, and working eastwards, one of the things you notice is this relative seamlessness. So, the unification of Europe might also be a stage in the unification of a Eurasian landmass. You realize it in literally moving – that you drive from Dubai to Saudi Arabia, and realize that if you kept on driving you’d very soon be in Turkey, and then in Athens. There is a literal sense of connectedness. Dubai or China also defined, then, by an engagement with the global dynamics of modernization? A supplementary question to this would be, in light of what you’ve just said: to what degree does this imply that modernity itself is essentially European in some way, or, at least, that it has a specifically European genesis? Absolutely – it is theEnlightenment idea that has then been filtered. The exciting thing is that other cultures are now copying this, and more and more taking control of it. It’s a form of relay, and now you can clearly say that the originators are no longer in charge. In that sense, this is globalization. It becomes self-perpetuating, where it almost doesn’t matter who is the originator. It becomes a sort of authorless concept. So as to reveal the ways in which architecture is subject to the forces of modernization and globalization. OK. But, then, politically and socially, do you register different, ‘better or worse’, forms of modernization? Of course. The reality is terrible in many cases, really horrendous. We are always blamed for being insensitive to these forms of suffering. It’s always explained as a form of opportunism: that ‘they never say “no” to anything’, or that ‘there’s not a level they won’t stoop to’. This is the complaint about you working in places like China or Dubai. You are often working with regimes that you wouldn’t necessarily pick to be your governors. But it involves a kind of dialectic, a negotiation with what is there, and through this you can produce a different kind of knowledge and power. In The Image of Europe, clearly part of the importance of the political idea of Europe you’re interested in communicating, or providing a positive image for, is precisely the possibility that it might be one that isn’t organized around solely economic imperatives. In other words, that it isn’t defined only by an idea of the market. The same is presumably true of your engagement with globalization, and with the ‘translation’ of modernity into other non-European, non-western contexts? This invites the question, then, of how you understand the relationship between processes of modernization and the globalization of capitalism as a specific economic and social form. Does this frame your particular interest in somewhere like China? I’m thinking here of the argument that someone like Giovanni Arrighi makes that ‘socialism may have lost’ in China but ‘capitalism hasn’t yet won’: it has a kind of market economy, of course, but it’s an economy that isn’t, as yet, necessarily a fully capitalist economy as such. Well, I think, in retrospect, I would explain our interest in China as coming from the point of view of feeling that there is a certain fragility, ultimately, about our capitalist system, and therefore being interested in other versions. You can read the recent financial crisis, in a way, as being illustrative of exactly what we anticipated. And in certain ways we really did anticipate it. Maybe the ‘Y€$ Regime’ was our main announcement of how sceptical we were. The ‘Y€$ Regime’ was also a very early announcement of the end of ‘Y€$ Regime’! Which I think has never been properly understood, because it has always been understood as a quasi-humorous endorsement of something that we were actually very critical of. I think, basically, good architecture was never comfortable with the period from, let’s say, 1979 to 2008, with the Reagan years and its fallout. You can see the 1990s as a kind of drunken era, in which the more exuberant the stock exchange, the more exuberant the architecture. What kind of difference do you imagine the current financial crisis might make to the architectural profession? Well, I can imagine, if it persists, that architecture may find itself back at some point like it was, maybe, in the late 1950s: doing a very few earnest things that have a great significance. [laughs]It’s interesting to talk about Lagos here. I went to Lagos for the first time ten years ago, and that was in a context of ultimate scepticism about planning, about master-planning, and even about the most fundamental aspects of architectural organization. It was all about selforganization and improvisation, and so on. But then when I really looked carefully I saw that all these myriad improvisations [in Lagos] are only really possible within the context of an urban infrastructure that had been established in the 1960s and 1970s by very rigorous architectural visions, by architects often coming from formerly Communist countries. So, we thought that we were on the other side of this, but we also rediscovered that initial impulse. There is maybe a hope that this financial crisis brings us closer to that kind of work. I should say one more thing: without ever having been communist or knowingly Marxist, it is also very true that, speaking for myself, one influence that certainly led me to architecture was a confrontation with Soviet Constructivism, and with that moment where you could really speculate about how society could be reshaped, architecturally. So, that’s a fundamental connection for me. It’s an interest in that reshaping of society. And this is why being in China is so interesting, because you can still see traces of that. There’s an interview from the late 1990s, with the journal Assemblage, which would seem to relate to this, where you talk of the ‘core’ of your activity as being the attempt ‘to reinvent a plausible relationship between the formal and the social’. How would you define this ‘relationship’? I’m just thinking about Rem’s comment about Constructivism – because that was an architectural style but it was also the largest imaginable scale of design: where one sought to design at the scale of society. This is what’s fascinating about China, whatever its faults: that it’s still an effort to apply design at an unimaginably ambitious scale. Whereas the maximum scale of design in the West is the scale of the consumer object. So, is the other side of that something like the work with Prada, which one could read as an attempt to explore specific relationships between certain forms of design and certain social forms of capitalism, in this case, forms of display or spectacle, and of the consumer object, and so on? You’ve talked [in an interview with Hans-Ulrich Obrist] about the Prada projects in the context of ‘an investigation of what the market economy does to architecture’. Well, with Prada there was already a certain history – Miuccia [Prada] was a communist and a sociologist, with a Ph.D. in political science. So, I think they were embarrassed by consumerism and by having to operate within it. With Prada, then, there was an opportunity to see how within that you could create a kind of bubble, maybe not of its opposite, but, at least, of another world, simply by making it a space for selling or for being together. I think maybe you could explain our work in the 1990s as addressing a neglect, or challenging a prejudice. Shopping was ‘wrong’, so we looked at shopping; China was ‘wrong’ (and nobody knew about China), so we looked at China. In a way, it was really a fundamental effort to look dispassionately – maybe this is totally the wrong word – at the scale and nature of the beast. This decade is a different decade in that we’re actually dealing with it, and feeling less obligation to be objective, and more interested in pursuing a specific agenda. That’s why we needed AMO, because without AMO there is no agenda.